A long time ago – so long in fact that I worked elsewhere – I wrote about how increasing mobile network speeds could be the beginning of the end of the smartphone as we know it. With increasingly capable hardware, fast networks and some additional infrastructure in place, the idea of a cloud-first, thin client approach that removes the concept of ‘personal’ from smartphones isn’t exactly new. Imagine a future where forgetting, losing or breaking your phone is no longer a problem – all you need to do is log into another ‘dumb’ client (AKA any smartphone) and you have access to your OS, your apps and your data. It’s a future that’s coming, but it’s still a long way off. 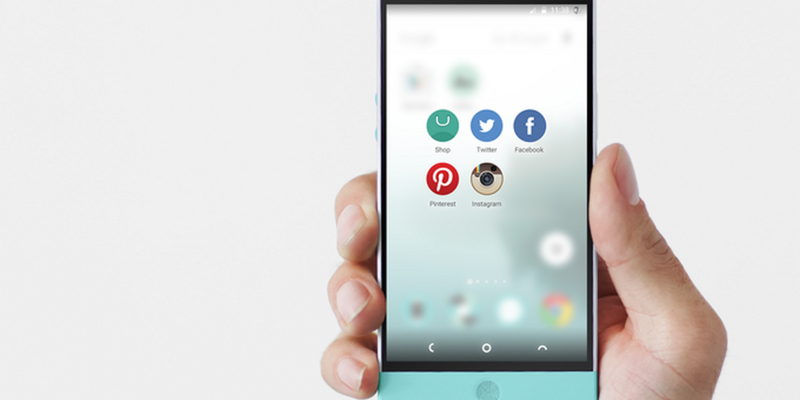 In the meantime, we’ve got baby steps in the right direction from Nextbit and its Robin smartphone. For the uninitiated, Robin was a crowdfunding hit that raised $1.36 million, far surpassing its $500,000 target. Now, the first handsets are rolling off the production line, I got a little time to sit down with the company to take a look at the device. Despite being cloud-first (sort of), Robin is based on Android, but it has some interesting, deeply integrated cloud features (more on those later) that separate it from other ‘me-too’ Android forks. It’s a glimpse into the future, without any complicated infrastructural commitments. “Nextbit was formed with the idea to build the next generation of computing – not mobile computing, just computing,” Nextbit’s Chief Product and Design Officer Scott Croyle told me. “If you imagine a cloud operating system, that’s going to come, so essentially the idea was to build a half-step generation and bring a lot of that thinking that would be there in that cloud OS future but bring them into a native app operating system, because iOS and Android were developed in an era that was pre-cloud. Croyle and the rest of Nextbit’s exec team know a thing or two about mobile OS development. Croyle was formerly HTC’s Vice President of Design and User Experience, while CEO and co-founder Tom Moss also founded 3LM, a mobile security company purchased by Motorola to make Android more secure. Moss was also Worldwide Head of Android Business Development and Partnerships at Google, as well as being General Manager of Android Japan and Asia Pacific. So, no stranger to Google’s OS then. Nextbit’s other co-founder, Mike Chan was Senior Director of Engineering at 3LM, and before that was a Senior Software Engineer at Google and the Android Power Management Tech Lead. Why is the future not now? With an experienced team, funding in the bank and a vision for the future, why the need for a half measure now? Why can’t we just have the full cloud OS experience? Croyle explained that, without a reliable way to keep devices ticking when something goes wrong, a half measure is all we can have. Essentially, that’s what Nextbit is. The first tentative step on that road to hardware-agnostic, cloud freedom. What do we get now then? As Croyle showed me around a few parts of the Nextbit Robin, I couldn’t help but wonder about how familiar it all looked. But scratch the surface and those genuinely useful cloud features shine through. For example, apps that you use infrequently are automatically removed from the device to free up space, but a greyed out icon remains – along with all your user data and settings for that service. If you want to use it again, you just tap the icon and it re-downloads, ready to use. That’s pretty smart, and useful for specific apps you might only use once or twice a year – like an airline or airport app for example. It’s also useful for keeping your game progress for a title that takes up a lot of space, but you aren’t quite ready to say goodbye to permanently. You can pin any app to override it being automatically removed if you know you always want to keep it installed on your device. Other cloud smarts Robin touts include the ability to automatically manage your photos for you. Once your phone starts running out of space, the OS works out the images you haven’t opened recently and downsizes the local copy to reduce the footprint. The smart bit is that it downsizes it to whatever the full resolution is for your phone’s display, so it’ll look exactly the same if you’re viewing it on your device. If you zoom in on a downsized photo, it automatically pulls the full resolution one down from the cloud – it’s only set to do this by default on Wi-Fi though. By integrating at a core level, Nextbit can do things like allow you to attach down-sampled photos to your emails that aren’t actually stored on your device. Images stored in the cloud are marked with a little cloud icon so you can tell which images are stored on the device and which are the reduced size versions. Tapping the image you’re inserting into an email also allows you to insert the full-res version – it’s not downloaded to your device first, it’s inserted straight from the cloud. It also warns you about potential data charges if you choose to pull down and send the hi-res version. On the traditional hardware specs front, the Robin has a 13-megapixel camera, fingerprint sensor, dual front-facing speakers, NFC (for Android Pay), 3GB RAM, a USB Type-C connector and a 2,680mAh battery. Storage is referred to as 32GB “offline” (internal) and 100GB “online” (your cloud). While early Kickstarter backers got it for a little less, you’ll have to cough up $399 if you want the Robin when it arrives in February 2016. That’s a pretty small price to pay for a piece of the future.